Tendai Huchu’s The Intervention leaves neither the impression that interventions from outside can impact Africa, nor that The Intervention itself will change the continent: in this sense, he avoids Wainana’s criticism. Nevertheless, doom still hovers over the text’s relationship with Africa. Or at least for the group of disaffected Zimbabwean diaspora that the story focuses on. Gathered in a living room in Leicester to watch the news of the Zimbabwean election results, apathy, cynicism and failure are a large part of existence. The story is narrated by Simba, a young Zimbabwean who spends most of the story in a drunk and stoned daze, his voice made distinctive by the use of language peppered with Shona slang and abbreviations from ‘coz’ to ‘wtf’. His observations as he sits with his friends watching the news range from the deeply cynical (‘Nothing we did or said meant a fart; that was the truth of it’), to the provocative and antagonistic (‘”we’re a nation of bums, innit” I replied, knowing this would goad him’) to the uncertain and unreliable (‘I can’t quite remember what else we spoke about, zoned out as I was’). He is a character who will no doubt spark disdain in many readers of the story. Indeed, a review in Brittle Paper by Kola Tubosun remarks on Simba’s use of the word ‘effing’ with indignation: ‘Who is this character? A twenty-two year-old Zimbabwean visiting England for the first time and intent on convincing us of his acquisition of street and teen lingo?’ The other characters – a young couple, Sarah and Tamu with a failing relationship, Simba’s friend Z who is at least two-timing his girlfriend Precious, the owner of the house in which the story is set – don’t come off much better. The second intervention is a poem (in performance poetry terminology poems are sometimes called interventions) which is not created by Simba but comes to him as a ‘pressure from an unknown dimension, a place before thought where only feeling and emotion matter’. Described like a miracle, the poem and lead up to it marks an unconvincing and cloyingly earnest switch in tone and language, inconsistent with the cynicism and linguistic casualness of Simba’s character up to this point. Moreover, the poem itself consists of clichéd African motifs such as the crying of suffering children and a call for help, with phrases such as ‘The mystical ancestors/The wide African skies/The children of Africa cry’. If we are to read ‘The Intervention’ for what it appears to tell us about Zimbabwe, or the state of Africa as a continent, the picture is pretty negative. But this is only one way of reading the story. We do not read the Pulitzer Prize winners against the marker of what it tells us about America, so why do so for literature from or about Africa? Central to the story is its first person narrative, and what Huchu does well is to explore the milieu of how a particular diasporic Zimbabwean poet experiences the everyday. First person narration is a technique which Huchu uses elsewhere to portray perspectives that writers don’t often chose to explore: his story ‘Hello’ is a telephone conversation between a suicidal person on a bridge and a stranger. It features long stream-of-consciousness monologues giving insight into the mind of someone about to end their life. His well-received 2012 novel The Hairdresser of Harare is told in the first person by a character with unlikeable traits from arrogance to jealousy to disloyalty (as well as more sympathetic ones), and yet through this, it tells a full and nuanced story of daily life in Harare, covering topics from relationships to style and beauty to poverty and wealth to homophobia. That the personal and ordinary is of concern to Huchu in The Intervention is clear from the story’s beginning: a detailed description of defecation, a universal bodily function. The story continues in an enclosed domestic sphere, with the juxtaposition of the confined sitting room against the global reach enabled by the TV’s roll call of news from various countries creating an intensity which is absorbing and raises questions about the link between the personal and political. 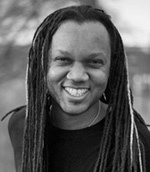 The disjointedness of Simba’s voice which mixes jarring slang terms and abbreviations, irreverent nicknames for members of the royal family and biblical quotations, casual direct speech with the elevated musings of a poet, all contribute to the sense that the story conveys an individual world view. Whilst there were elements of the story I found unconvincing, the crafting of this narrative voice enables an exploration of the complex relationship between domestic and political space as experienced in the diaspora. While it doesn’t offer conclusive comment on Africa in general or even on Zimbabwe in particular, it does raise important questions about politics, creativity, tradition and perception. 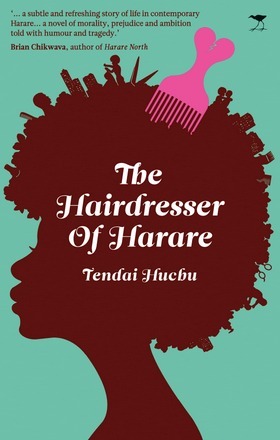 I didn’t particularly like the story on first reading; I thought it was a shame that the particular facet of Zimbabwean diasporic experience Huchu chose to focus on was one of such despondency and despair, especially considering the more hopeful tone of The Hairdresser of Harare. Even so the portrayal of a character with such an unusual voice and personality – a character unsympathetic, despairing, thoughtful and cynical – make for an unexpected and engaging read, and one which bemuses and raises questions as much as it satisfies. 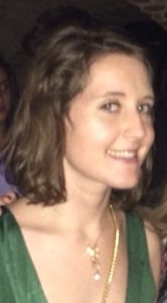 Anthea studied English and Related Literature at the University of York. She has worked at PEN International and written for Think Africa Press, and recently returned to London from Abuja where she lived for a year, working for Nigerian publishing company Cassava Republic. Last year Africa in Words took part in ‘Blogging the Caine Prize’ – a carnival of week-by-week blogging around the shortlist for the annual Caine Prize for African writing. While there is no ‘organised’ carnival going on this year, the prize continues to showcase some fantastic writing. Africa in Words will be sharing a review or comment piece each week on one of the 5 Caine Prize shortlisted short stories, by different contributors, some regular, some new. Billy Kahora’s ‘The Gorilla’s Apprentice’. Read Rachel Knighton‘s AiW review. Diane Awerbuck’s ‘Phosphorescence’. Read Katie Reid‘s AiW review. Okwiri Oduor’s ‘My Father’s Head’. Read Doseline Kiguru‘s AiW review. The stories are all available to download and read for free on the Caine Prize website. Read them, our reviews and others, and let us know what you think. Read the next story, Efemia Chela’s ‘Chicken’, HERE.